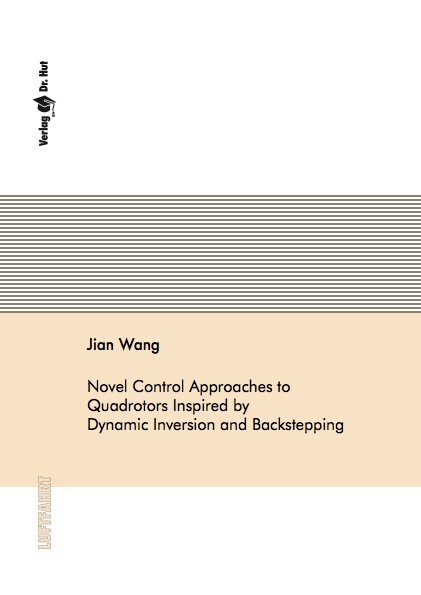 This thesis presents new control approaches to quadrotors using Dynamic Inversion and Backstepping method. The objective is to maximize the control bandwidth of quadrotors, yet keep good robustness against actuator saturation and model uncertainties including sensor errors, parameter uncertainties and external disturbances especially at high velocity flights. The simulation and flight test results has demonstrated that the proposed position control design gives high control bandwidth, i.e. it is able to track highly dynamic maneuvers with good accuracy and robustness. The novel state representation provides better disturbance rejection and makes the control implementation computationally more efficient.